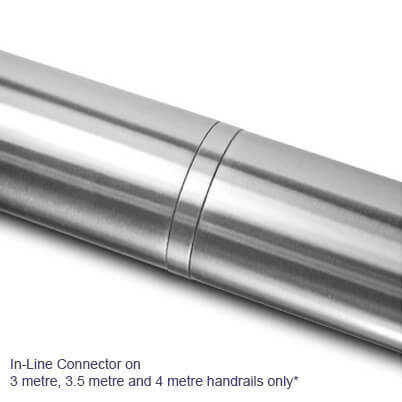 Each Tubular Handrail Kit comprises of: 42.4mm or 48.3mm Diameter Stainless Steel Handrail, Stainless Steel End Caps (fitted), Stainless Steel Curved Plate Brackets and Fixing Screws. 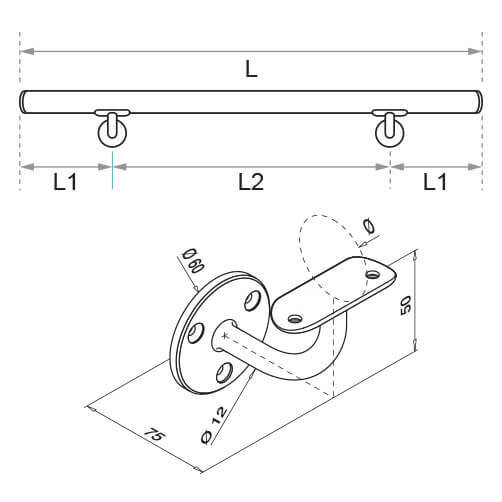 This curved plate bracket and handrail kit is available to order on-line in 1, 1.5, 2, 2.5, 3, 3.5 and 4 metre lengths. 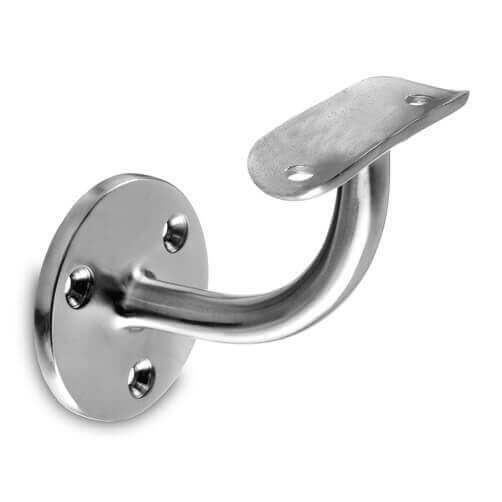 Complete with smooth stem handrail brackets, supplied loose for installation. Choose either 304 grade (interior) or 316 grade (exterior) stainless steel. High quality brushed satin finish. 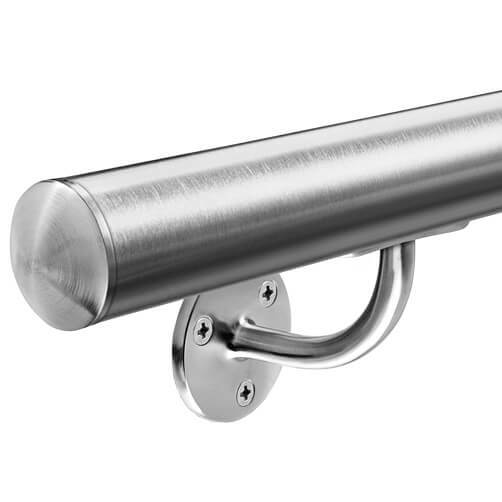 Download and print our installation advice sheet for this tubular stainless steel handrail with curved plate brackets.